Wow! This could be Yuge [sic]. El Rushbo, Rush Limbaugh, who not even Donald Trump supporters can with a straight face question his conservative bona fides, decided on his Tuesday Rush Limbaugh show that enough was enough with the attack on Marco Rubio that he is an establishment candidate [also a RINO]. 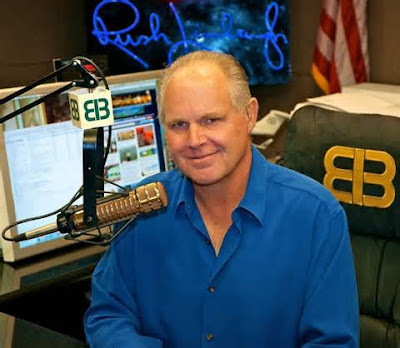 Rush Limbaugh stated in no way is Marco Rubio some moderate RINO. Rush vouched for Marco being a full throated true conservative. I myself am getting sick and tired of this implication that Marco Rubio is some sham conservative because he is the establishment candidate. So, I say thank you Rush Limbaugh and God Bless! I'd be more thankful to Rush if he hadn't for so long been a shill for Trump. By his mindless repetition of the word "Establishment" -- which he continues even now -- he basically parrots Trump's "I'm tne anti-Establishment guy" talking point. Yes I agree key man and that's why I stopped listening to Rush- I just caught this clip when watching Megyn Kelly's show- and I was glad at least he did this- although I agree with your point.